BU information - Ballsbridge University , Quality Accredited Education, Promoting Lifelong Learning and research,MBA, PhD. DBA. ..
Ballsbridge university is an Autonomous awarding Body with accreditation framework chartered by the commonwealth of Dominica. The university is Licensed under SRO 65 of 1996 with registration number 16184 and accreditation framework regulated by BQS. The university is an international institution operating as transnational education provider. The activities of transnational educational provider are regulated by the DRC Dominica registrar not the ministry of education which regulate sorely domestic institutions . Dominica is a country with its own educational system . BU is an international Project for education sustainability for all developing countries recognized the by the UN DESA and Supported by several ministries of education in developing countries. The main objective is the provision of academic skills and retention of skills for national development. All our qualifications are design in EQF, GAAP and follow ISCED 2011 framework ensuring global recognition. We also accredit and audits centres and students can be assured that our qualification and standards are high. BU is also a recognized member of chartered quality institute and its in compliance with all the company membership code of quality practice. This is a strong demonstration of BU to quality assurance and good practice. The University is a degree granting power and a chartered institution which is responsible for its own quality assurance scheme . We have introduce the ISO9001:2008 quality management system for quality assurance and its regulated by the board of quality standards . The university is Certified and in compliance to the ISO9001:2008 and ISO29990:2010. We respects the academic autonomy, identity and integrity of the ballsbridge University and and programmes and the QA department (BQS) applies standards or criteria that have been subject to reasonable consultation with stakeholders in all matters of quality assurance and the aims is to contribute to both quality improvement and accountability of the institution. The curriculum of Ballsbridge University is accredited by the institute of management specialist UK for membership grades . Our qualification is also accepted by other chartered bodies in the UK for membership. BU curriculum is also accredited at the BQF/QCF Level 4,5,6,7,8. Student from USA and Europe should understand that Ballsbridge University is not a USA institution and BU qualification is a foreign qualification and must be evaluated by evaluating agencies to an equivalent standard of a regional accredited qualifications. The university is an accredited affiliate to California university FCE commissioned by some accredited university in USA to do evaluation of curriculum and program of these institutions. BU curriculum is also evaluated by California state university fresno institute of foreign qualification evaluation. 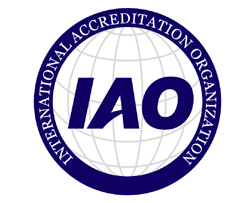 The university is internationally accredited by IAO for education competence. The university do not grant credit for experience but could be use in conjunction with other previous educational diplomas from the candidate for an admission to a recognized Ballsbridge university programme . Accepting or denial of our credit and qualification is sorely at the discretion of the receiving party . We there for advise potential students to inquire from the receiving party if our credits will be accepted by them. Ballsbridge University is a quality educational institution and we take quality very serious. We follow all method of tradition education but the delivery of our courses are blended (which is online and personal supervisor) . We do not accept credits from non approved /unaccredited school. The university is registered with great pride to provide affordable recognized education to people who wants promotion, who are not privilege to attend traditional school due to high fees, who wants to upgrade skill for professional membership grades, who is not privilege to attend school due to work or family. Postgraduate (graduate) study at ballsbridge university is divided into taught courses and research degrees. Taught courses involve structured, taught elements of the degree course and your marks are based on coursework, assignments, written work, projects, presentations and reports. Taught course awards include master's degrees (MA, MSc, MBA, MRes, LLM, MArch, MEng, EM), graduate diplomas (Grad Dip) and professional courses. They typically require one year of study. Research degrees are based on critically investigating and evaluating approved topics and presenting and defending a substantial thesis (written paper). Research degree awards can either be a Master of Philosophy (MPhil), usually requiring two years of study, or Doctor of Philosophy (PhD), usually requiring three years of study.